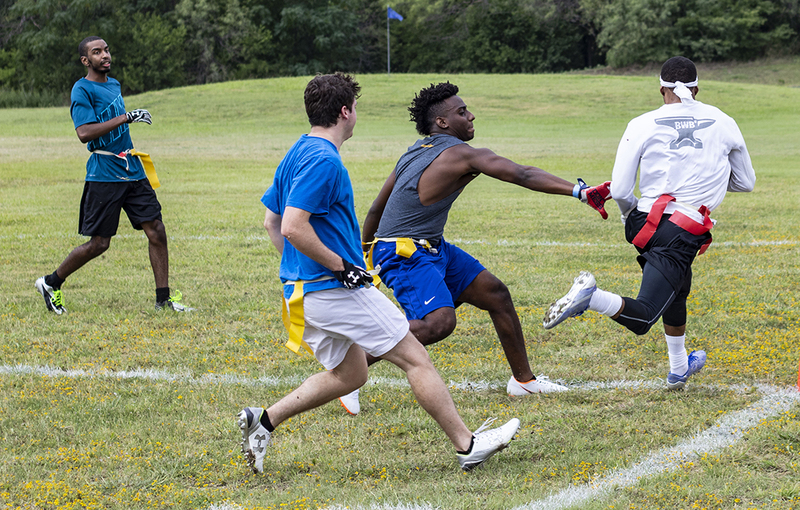 SE students assembled teams to face off in a series of four games for the campus’ first Friday of intramural flag football games Sept. 29. Team 2.0 defeated The Ragers 24-18 while the Free Agents lost to We Bad 31-8. 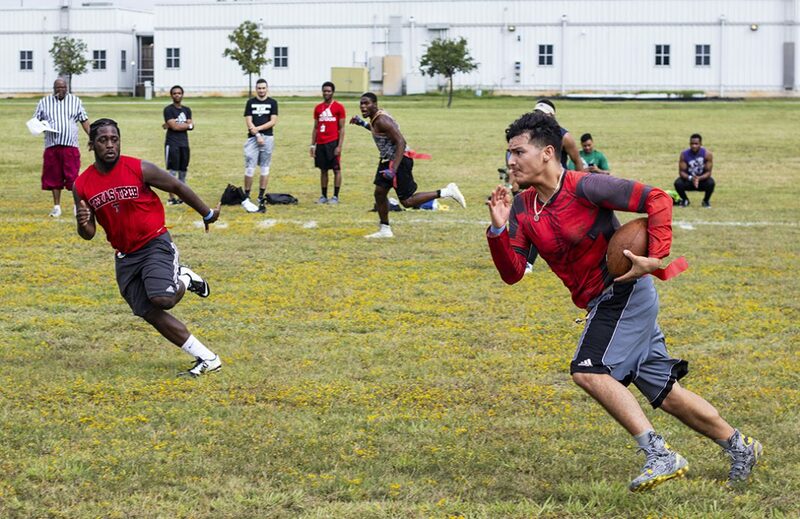 BBE managed a 38-23 victory over Y’all Sleeping but then fell to Jump Force 36-13. 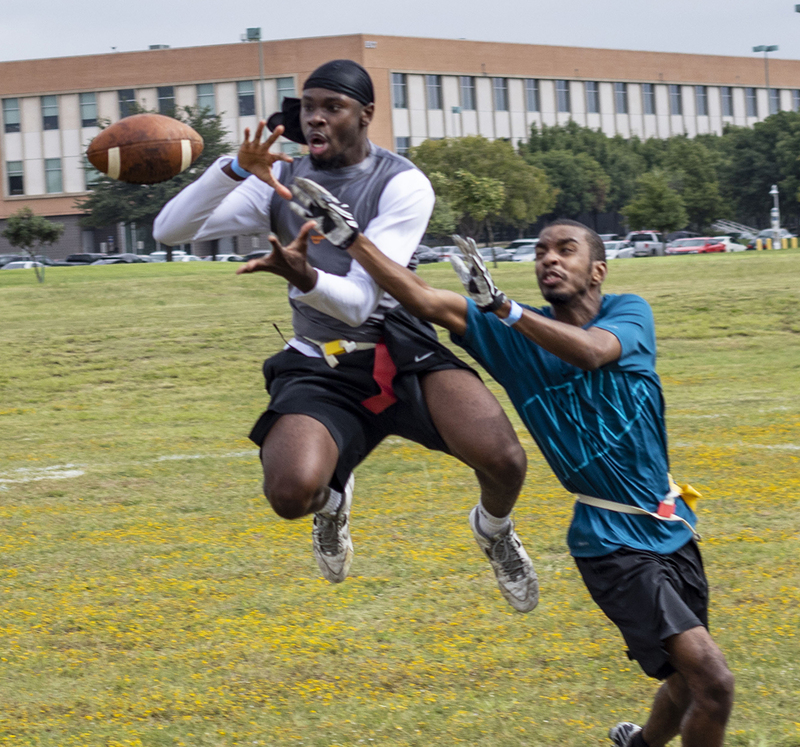 SE’s intramural flag football season will continue on Oct. 5 when teams will be seeded based on the previous week’s results. 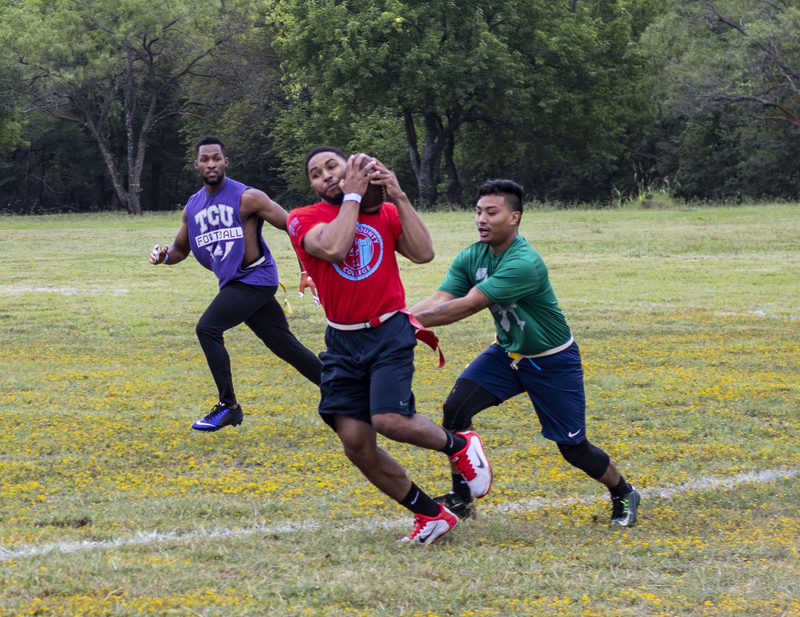 Nazir said it was too late for teams to register for intramural football, but registration for the intramural basketball tournament will start at noon Oct. 8 in the SE gym (ESEC). 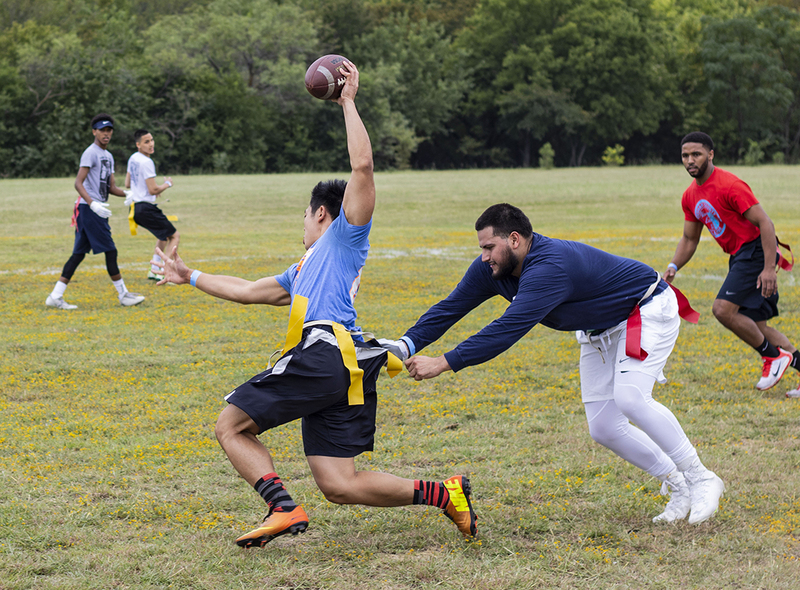 Intramural basketball will also be two weeks and follow the same format as flag football. 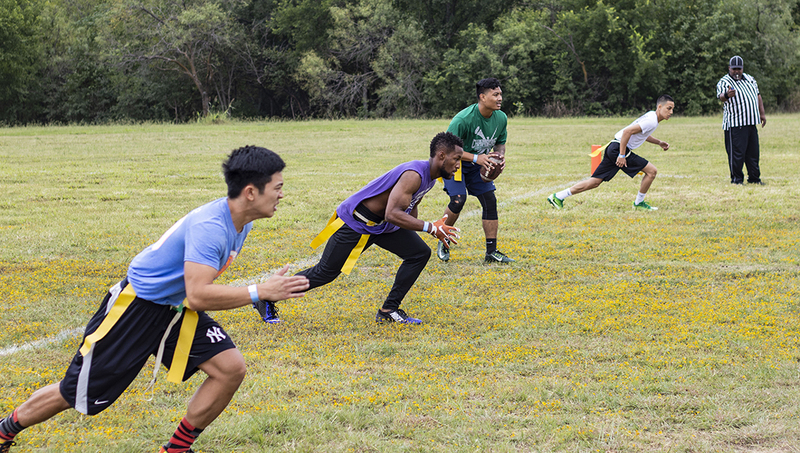 For more information on other SE intramural activities going on throughout the fall semester, contact Nazir at shahzad.nazir@tccd.edu or 817-515-3170.